POWER: 695cc liquid-cooled, single cylinder single overhead cam engine; closed-loop EFI. SUSPENSION & HANDLING: Electronic power steering (EPS and XT models); Rapid Traction System (Base and EPS models); electronic locking 4WD (XT model). HAULING & STORAGE: Durable 100 lb. front and 200 lb. rear steel racks; 1.44 gallon water-resistant rear storage compartment; 1,050 lb. towing capacity; double front tow hook and 2-inch receiver. 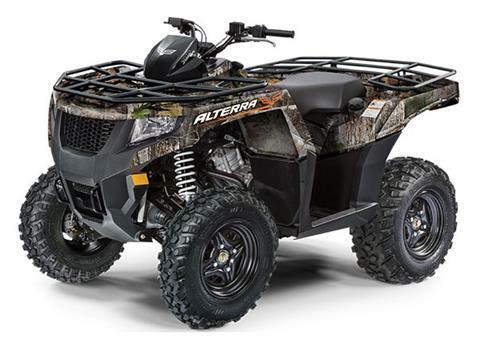 DRIVER EXPERIENCE: Packed with prime features for long days on the trail, like a digital power sport gauge, machined aluminum wheels (XT models) and a sleek design. RELIABILITY: Twelve-month warranty; aggressively tested for durability; built in Thief River Falls, MN; backed by the power of Textron, a Fortune 250 company.